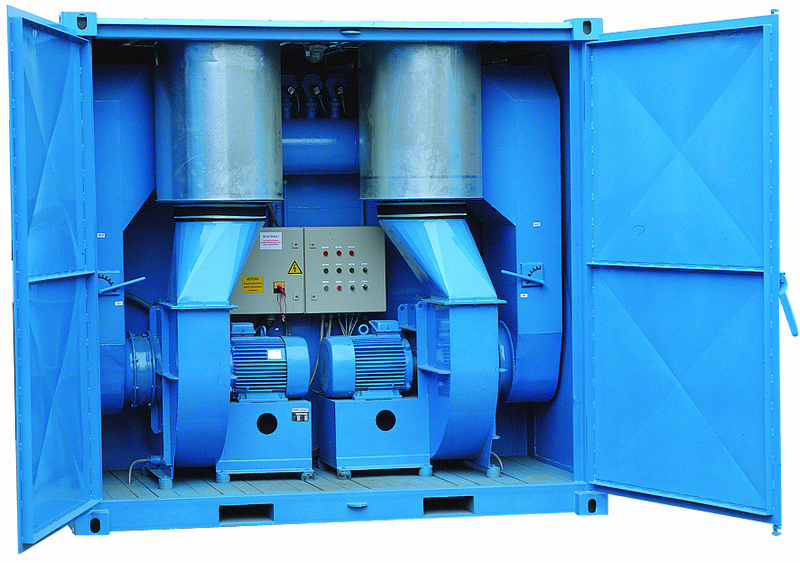 KIESS filter plants have been developed for particularly aggressive dust types. Our experience of almost three decades ensures the right choice of filter material. Beginning with the air intake of abrasive, dusty air, the dust in the dust collector does not get blown around and thus avoids wear on the filter cartridge. Clean-off is performed by a jet flow using a time control. The particular unit construction system allows a large amount of flexibility on site. The radial ventilators selected for the filter unit are usable for a pressure of 300 daPa or 500 daPa, so that the volume flow indicated can be achieved even in fan mode, a function not possible in many filter units offered by competitors. For highly conglomerating dust, KIESS provides special Teflon coated filter inserts. Volume flows of 2,500 - 60,000 m³/hr per unit are possible.